Ofcom has published the results of its research in the small internet service providers (ISPs) - with some surprising findings. The government watchdog discovered there were 686 providers serving around 1.9 million people, claiming 30 per cent of business users and 5 per cent of households. Ofcom also discovered that 83% of niche ISPs employed 20 people or less. Ofcom says that one of the advantages promised by small ISPs is that they are able to offer individually tailored products to their customers than their much bigger rivals - something that was claimed by 54% of the companies. This also means that for many customers that they also offer better value for money. 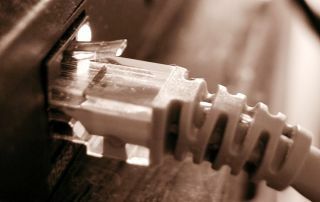 Ofcom carried out the research as part of its review of wholesale broadband market access and the obligations placed on BT to provide broadband connections to third-party ISPs.